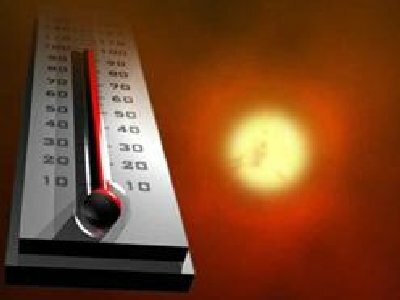 Summer is here and the weatherman forecasted 98 degrees today! I admit that I'll miss the big, structured red wines that I love so much, but this time of year has me longing for something different; something with enough fruit to soothe my craving, yet cold and with enough acidity to keep it mouthwatering. 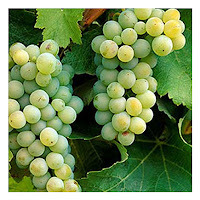 Summer craves Sauvignon Blanc. I know that some people might think of Chardonnay, or even Riesling, but not me. For me, Sauvignon Blanc is the ultimate warm weather wine. It’s extremely versatile with lunch, dinner, the grill or just sitting around on a hot summer afternoon. What’s more, you can find it in all styles, from rich with ripe tropical tones to mineral-laden with tart citrus that makes your cheeks pucker. It’s also one of the most versatile food wines I know. 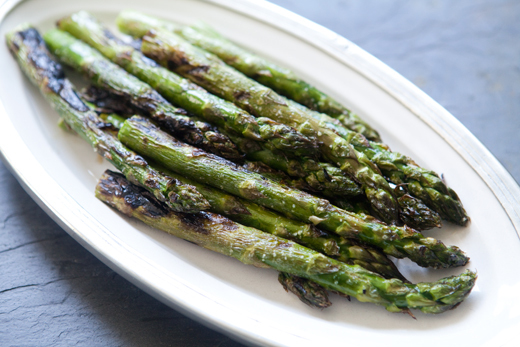 How many wines do you know of that can pair with salad, asparagus or sushi? The right Sauvignon Blanc can. What can be confusing is knowing what you’re going to get from a bottle. 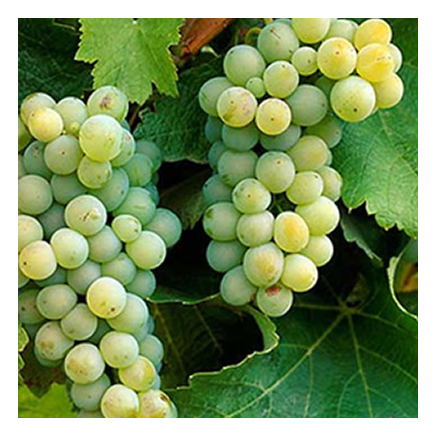 You can generalize that California will produce a ripe Sauvignon, but it’s often the grower and winemaker that determine a wine's characteristics. Was the climate moderate or hot? Was the soil gravel or schist? Was the wine aged in barrel or stainless steel? The good news is that they are all wonderful expressions of this zesty white wine and a good rule of thumb is; if it goes with lemon, then it goes with Sauvignon Blanc. This year I had the pleasure of tasting some outstanding wines from a number of different regions. Many of these have found their way into my cellar and I'm hoping you will enjoy them as well. Larkmead's Sauvignon Blanc found its way to the top of my list again this year. Unfortunately, it is made in such small amounts that it never finds its way to retail shelves but is a great reason to visit the winery if you're ever in Napa Valley. Larkmead remains one of a small amount of wineries, whose mail list I am signed up for, with high quality wines across the board. 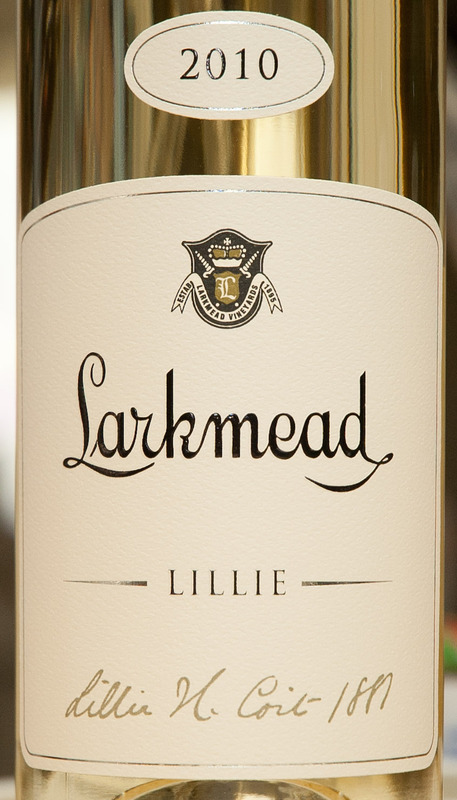 2010 Larkmead Vineyards Sauvignon Blanc Lillie B4 Block - The aromas leapt from the glass, showing sweet peaches in cream, a bit of honey with floral and grassy notes and hints lime on wet stone. On the palate it was rich yet focused and beautifully balanced, with young peach and cheek puckering citrus that stay through the long finish with lingering notes of melon and young mango. This wine was absolutely gorgeous and will be interesting to follow over the next few years. (93 points) Visit the Larkmead website! Over time, I have become a big fan of the white wines of Trentino, and this Sauvignon Blanc was so good that it stopped me in my tracks. There was so much intensity, yet it remained so pure and focused with great balance. Concilio, a cooperative winery in Trentino, was a new name to me this year but I will be looking out for these wines going forward. Also worth seeking out was their 2011 Gewürztraminer Trentino Conoidi. 2011 Concilio Sauvignon Blanc Trentino Arjent - The nose was striking with aromas of fresh-squeezed lemon, floral perfume and stony minerals. On the palate, it started soft and enveloping yet quickly turned clean and focused as flavors of lemon zest and granny smith apple filled the senses. The finish was lingering yet mouthwatering with lemon and floral notes. This was a great example of Sauvignon Blanc from a northern climate. (92 points) Visit the Concilio website! My recent trip to The North Fork of Long Island turned up a number of great white wines from the region. Macari's Sauvignon Blanc "Katherine's Field" was one of my favorites. A visit to Macari provides taste after taste in a colidoscope of different varietals and styles that are all highly enjoyable. There is absolutly something for everyone. 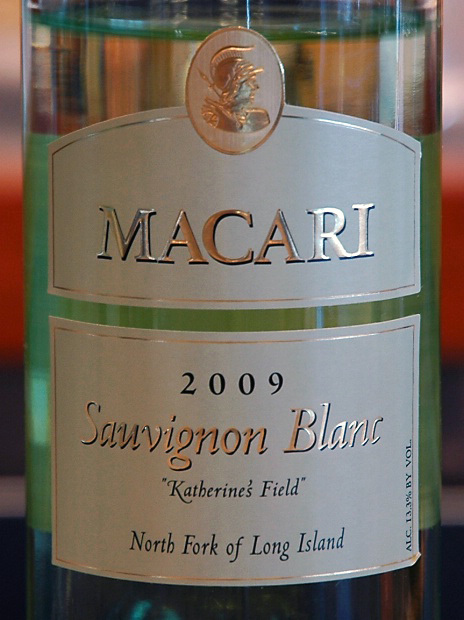 2010 Macari Sauvignon Blanc "Katherine's Field" - On the nose, I found ripe tropical fruits, citrus and herbs. On the palates, it had a focused concentration of ripe citrus fruits and lots of brisk acidity to keep it fresh and very pleasant. The sour patch finish was long, long, long. (92 points) Visit the Macari Vineyards website! 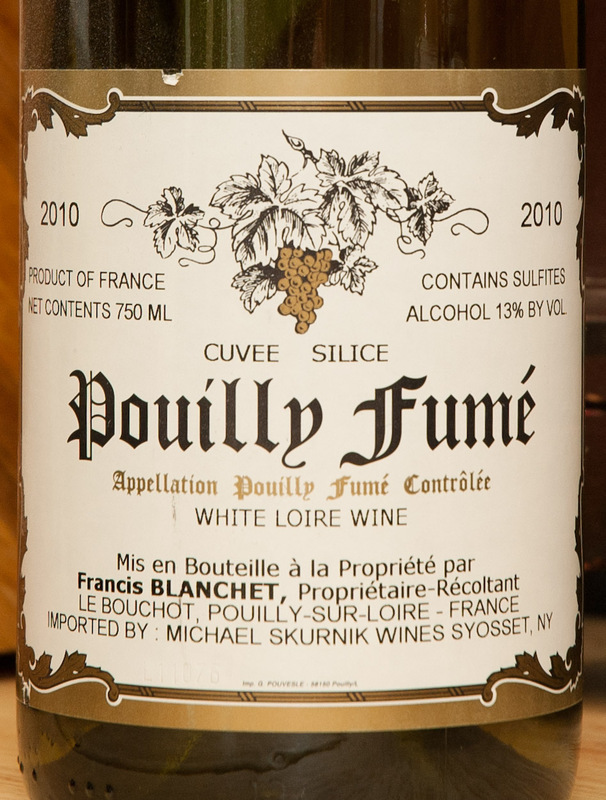 To me, Pouilly-Fumé are classic Sauvignon Blanc. They are fresh and mouthwatering with the perfect balance of acidity, fruit and spicy floral notes. Often, these wines might seem light-hearted for New World tastes, but each wine has it's place and this one is a stunner on a hot summer day. 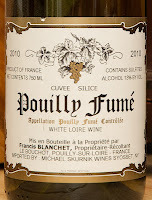 2010 Francis Blanchet Pouilly-Fumé Cuvée Silice - The nose showed sea air, lime zest, salty hard cheeses and herbs. On the palate, it was weightless yet full of flavor with salty minerals on the attack, followed by grapefruit and inner floral notes. The wine's crisp acidity washed down effortlessly and left the flavor of intense grapefruit on the palate. (90 points) Find it on Wine-Searcher! I was so sad when I realized that this wine wasn't available at any U.S. retailer (Hint to any importers who are looking for a great Sauvignon Blanc for their portfolio). I tasted this at Gambero Rosso this year and it was a highlight of the entire tasting. If you can find it, buy it, you won't be disappointed. 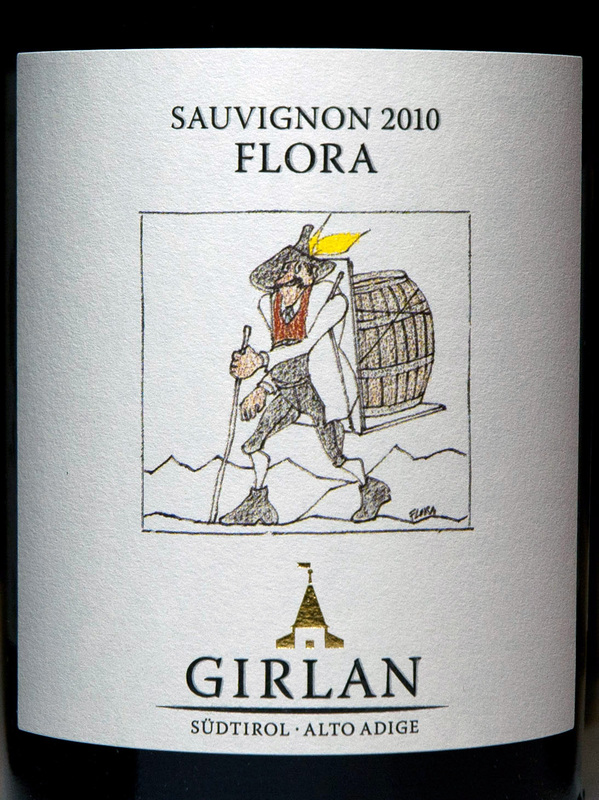 2010 Girlan Sauvignon Flora - The nose was intense with sauvignon fruit as aromas of citrus, herbs and pungent floral notes penetrated the senses. 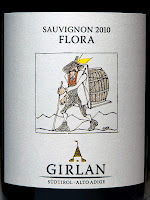 On the palate, it showed juicy citrus and inner floral notes. The mouth-coating finish was beautifully fresh as it melted away from the palate. (92 points) Visit the Cantina Grilan Website!